In 1932, Pierre Taittinger bought the Château de la Marquetterie from the wine house of Forest-Fourneaux. It had been used as a command post during World War I and he had been laid up there after suffering a heart-attack during combat. The vineyards of the château had been planted with Chardonnay and Pinot noir since the 18th Century. This property had been developed by Brother Jean Oudart, a Benedictine monk, one of the founding fathers of champagne wine, and later it had belonged to the writer Jacques Cazotte. 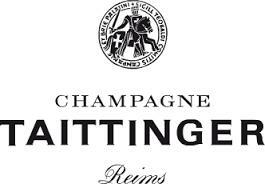 Champagne Taittinger was sold in July 2005 by the Taittinger family, along with its subsidiary, Société du Louvre, to the U.S. private investment firm Starwood Capital Group. Those in the profession (Champagne houses, wine-producers, cooperatives, distributors and customers) proposed that the objectives of short-term profitability, or even medium term, at any price, advocated by the then current managers of the business, were not compatible with the production of Champagne wine of quality, which takes time, trust and a large delegation of authority to the masters of the cellar. In addition, the arrival of investors completely foreign to the culture of Champagne could result in a major breakdown of the equilibrium of the industry. Finally, on 31 May 2006, the Northeast Regional Bank of the Crédit Agricole, in collaboration with Pierre-Emmanuel Taittinger, bought the business for 660 million euros. The area covers 288.84 hectares of vineyards and has 12 to 13 million bottles in stock. The Château de la Marquetterie and its cellars were part of the overall purchase. The Starwood group retained some hotels, including luxury hotels Crillon, Lutetia and Martinez, and the hotel chains Campanile and Kyriad. Claude Taittinger retired in 2006 and his nephew Pierre-Emmanuel Taittinger replaced him as head of the business. Wine Spectator 90"Balanced, with a rich, toasty character, bright acidity and subtle notes of lemon curd, cream, quince paste and fleur de sel. Ends with a firm, minerally finish. Drink now through 2015." " A wonderful array of aromas including white flower, pear, golden apple, honeycomb and brioche create a bouquet for the nose. The palate flavors are true to the aromas and are enhanced by a texture that is creamy, full and elegantly structured. The long finish hints of the wines aging potential. " "A gorgeous sparkler, showing effortless balance. The floral lemon and brioche aromas lead to elegant but complex flavors of creamy raspberry, vanilla and spicy almond." Wine Spectator 92"Toasty and vibrant, offering spiced apple, candied orange peel, quince paste, fleur de sel and subtle pastry notes with a refined, creamy texture and a lingering hint of ground spice on the finish. Drink now through 2019. 320 cases imported. " Wine Spectator 95 "Impressive and seamless from the get go, featuring lemon, apricot, smoke and spice aromas and flavors that build to the long conclusion. This is creamy, yet firm and fresh, with all its elements integrated for an alluring profile overall. There's wonderful finesse and length. Wine Spectator 89"Toast, honey, peach and citrus flavors come together effortlessly in this balanced, elegant Champagne. The fine mousse adds to the textural component, and this ends on a refreshing note."